STV Sport understands Steven Smith is set to join Norwich City after leaving Ibrox at the end of his contract. Paul Lambert has opened talks with former Rangers left-back Steven Smith about a move to Norwich City, STV Sport understands. The full-back is available as a free agent after his contract at Ibrox expired and Lambert has moved quickly to make a contract offer that would take the player to the English Championship. Smith was one of several players whose contract expired at Rangers at the end of the season and when no new offer was made he admitted that that he would be looking for a new club for next season. Norwich, recently promoted from English League One, now look set to give him the opportunity to play in the Championship. Former Celtic midfielder Paul Lambert had hinted last week that he was looking to bring at least one more defender to the club after signing centre-back Elliot Ward. "Will I strengthen again in the back four? There's a possibility I could do it because I think the lads need a hand," he said. "The current group were brilliant for me last year, really brilliant. They need a hand. That's what I will try and do. I will try and give this club the best chance. I will do everything I can to make it successful." Should Smith agree terms with the Canaries, he could see a familiar face around the ground. Ewan Chester recently agreed to take up the post of Chief Scout at Carrow Road after spending 20 years at Ibrox. It is not clear if Smith is a player identified by Chester, who is not due to start work until this week but Lambert will certainly have the inside track on the left back’s ability from the ex-Rangers scout. 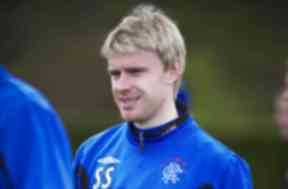 Smith’s first team opportunities were curtailed at Ibrox by the presence of Sasa Papac and also due to a spate of injuries. Last season, however, he made enough league appearances to pick up an SPL winners medal and played in the League Cup final win over St Mirren.